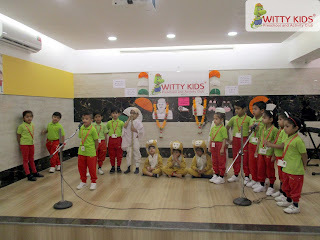 Which because of him achieved world Renown. India’s 3rd national festival, Gandhi Jayanti, is celebrated by the entire nation to commemorate the birth anniversary of the father of our nation-Mahatama Gandhi and Lal Bahadur Shastri. 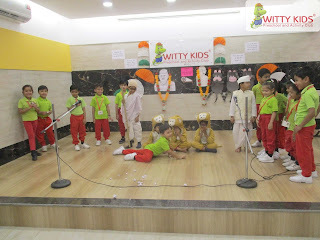 Witty Kids, R.C. 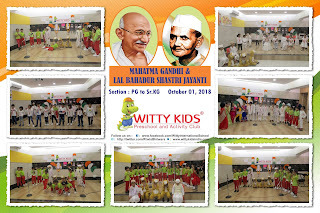 Vyas, Bhilwara celebrated Bapu’s and Lal Bahadur Shastri's birthday a day prior, on 1st October, 2018, with great zeal, enthusiasm and patriotism. 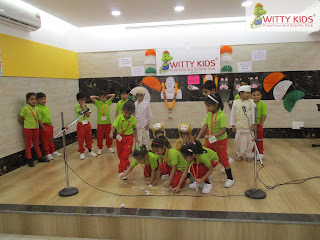 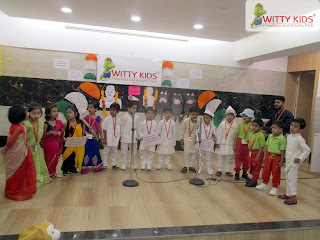 The tiny tots came dressed in khadi and cotton kurta pyjamas as a mark of Bapu and the nation. 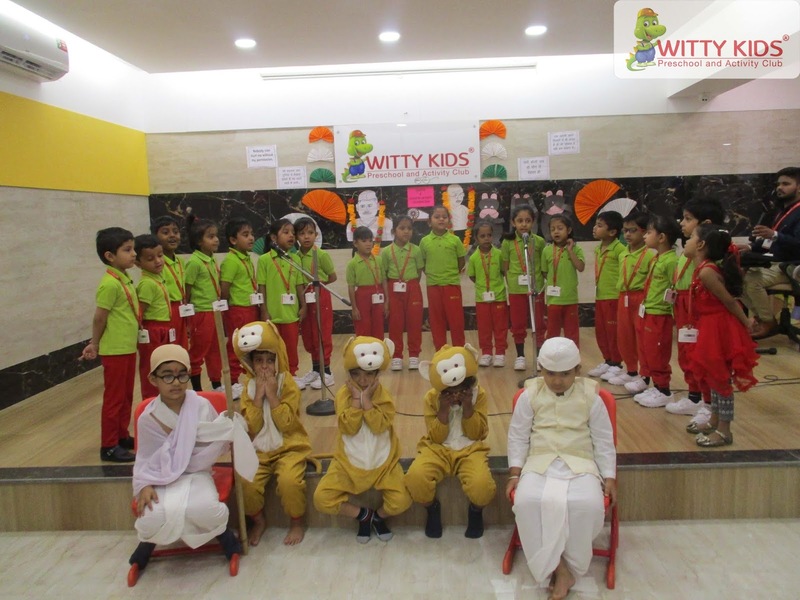 The assembly began with a rendition of Bapu’s favourite devotional song 'Raghupati Raghav Raja Ram' followed by dance performance and a short enactment presenting 'Swacch Bharat Abhiyaan' and a 'rhyme'. 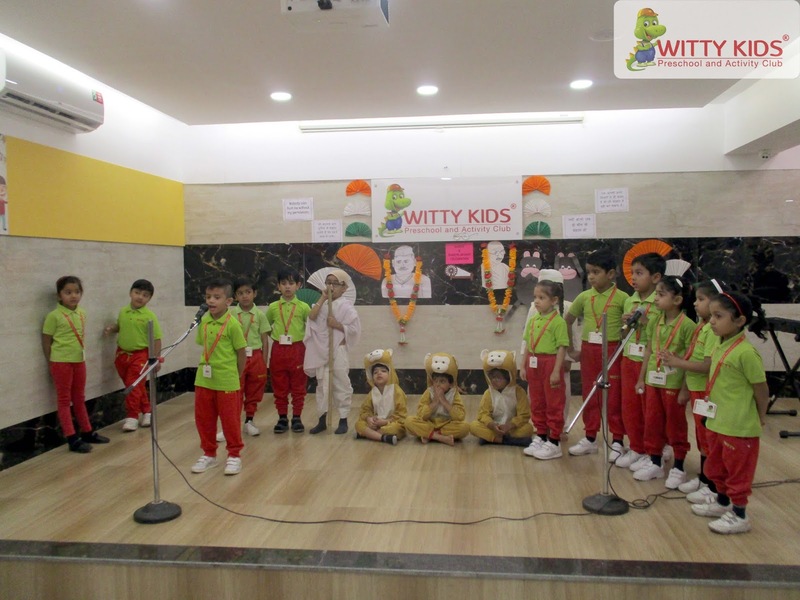 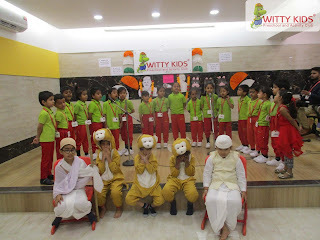 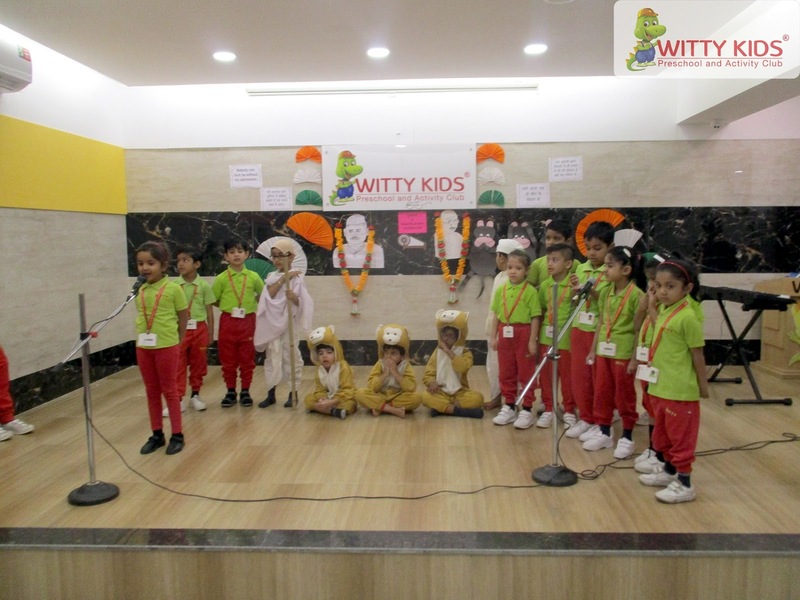 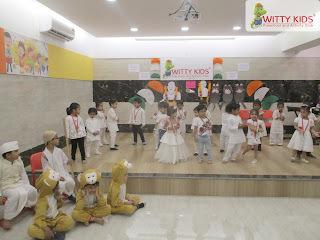 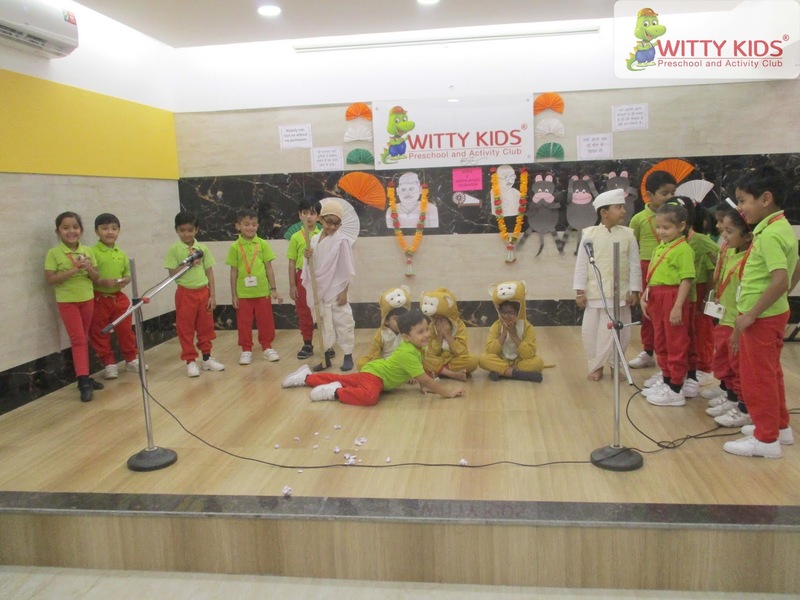 The kids dressed as monkeys were depicting the message given by Bapu which was clearly visible and understood to the kids. 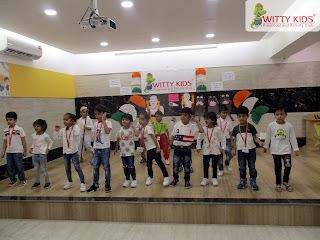 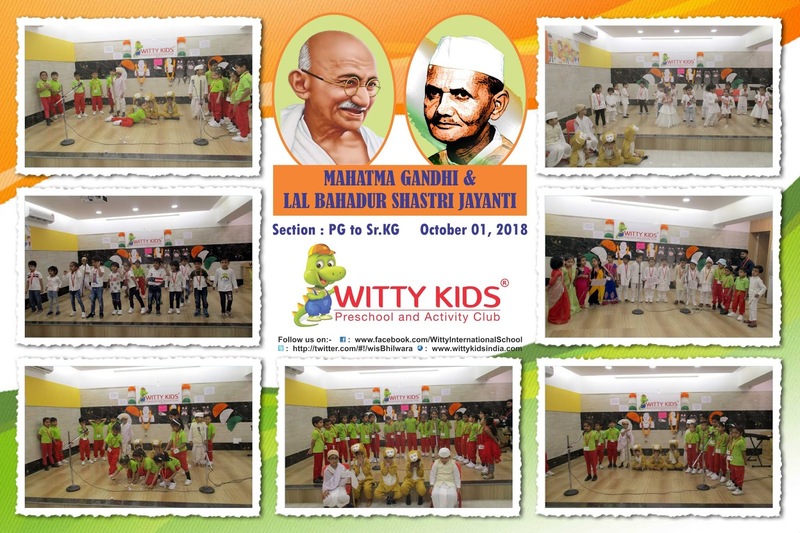 Thus the children were given a deep insight into the life and times of Mahatama Gandhi and Lal Bahadur Shastri and encouraged to think about the sacrifice of our freedom fighters, analyze the importance and understand the value of freedom.